This delicious no bake Portuguese coffee cheesecake with baileys liqueur recipe (receita de cheesecake de café com Baileys) hardly requires any cooking and is worth the wait. Place the gelatin in cold water. Melt the butter and add the instant coffee, stirring well until dissolved. Grind the biscuits and add the melted butter with the coffee and mix everything well. Line a round cheesecake form (with removable bottom) with parchment paper. Add the grinded biscuits to the bottom, press well with a spoon and place it in the fridge. 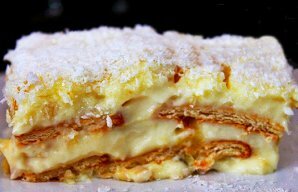 In a bowl, mix the yogurt, cream cheese, liqueur and the powdered sugar. Heat a tablespoon of yogurt with the gelatin sheets until it disolves, then add to the yogurt and liqueur mixture, stirring with a wire rod. Pour this cream over the cookie base in the form and place it in the fridge for at least 6 hours. 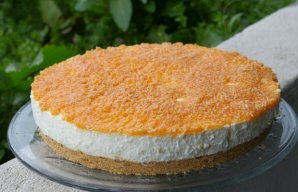 Remove the cheesecake from the form and place it on a serving dish. Heat the 1 cup of coffee with the brown sugar over low heat in a pan, stirring until it turns into a thick syrup. Let the coffee mixture cool down and before it is completely firm, pour it over the cheesecake. 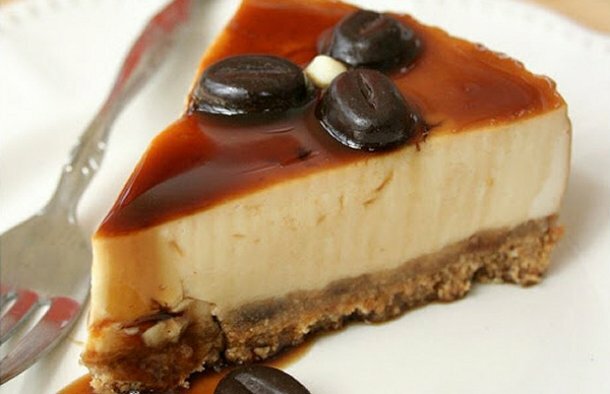 Garnish the cheesecake with the coffee beans and place it in the fridge until serving. 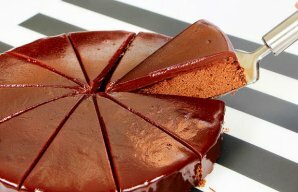 This delicious Portuguese soft double chocolate cake recipe (receita de bolo de chocolate duplo fofo) is very easy to make and tastes incredible. This delicious Portuguese Pineapple and Maria cookies cake recipe (receita de bolo de ananas e bolacha Maria) is easy to prepare and doesn't require any cooking.